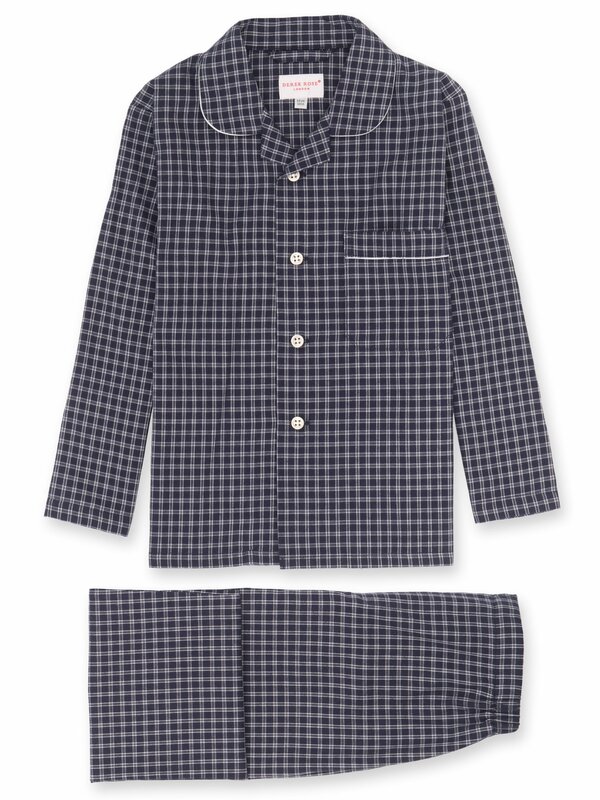 As classic as the men's version, our Braemar boys' pajama is cut from a navy and blue checked brushed cotton. The small scale check means this design works excellently as a children's pajama. We kept things simple for our boys' pajama, with a smart, rounded collar with a rever, one breast pocket and plain hems on the sleeves. 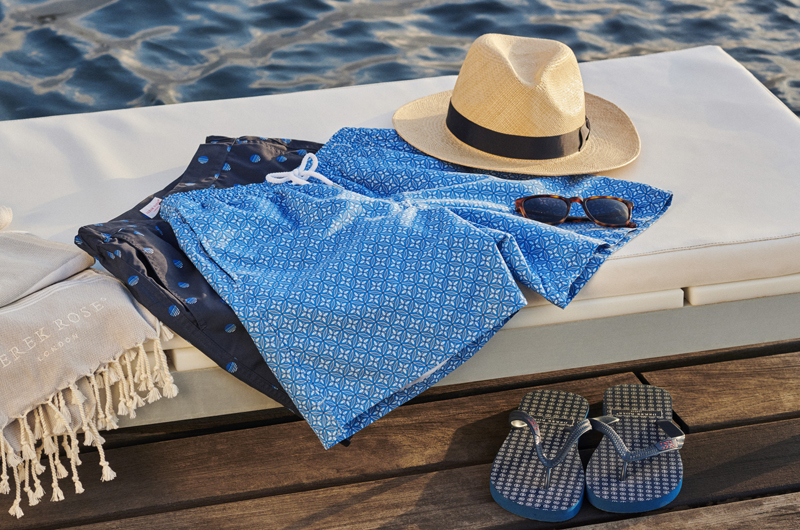 The pajama top is fastened with buttons while the pants have an elasticated waist for ease and comfort.